A cloud native approach allows CIOs to demonstrate the value that IT can bring to their organisation. Cloud adoption continues to be a major consideration for businesses worldwide. A recent Capgemini survey shows that 15% percent of new enterprise applications are cloud-native today with adoption set to increase rapidly in the next three years, jumping to 32% by 2020. A small subset of the survey sample—the cloud-native leaders—already develops at least 20% of its new applications using a cloud-native approach. Many of them are high-tech, manufacturing, and retail companies, known as leaders who emphasise strategic imperatives such as improving business velocity, scalability, the customer experience, and entering new markets. Becoming a cloud-native company requires significant changes to how an IT department organises itself. Compared to their counterparts, cloud-native leaders are more likely to have integrated their DevOps teams, have an agile approach to software development and have automated their deployment processes. These organisations are defined by their knack for using software as a key differentiator and source of competitive advantage, and an ability to adopt a cloud-native approach. Building applications directly in the cloud, using a microservices architecture, means these cloud-native leaders can rapidly innovate and scale new products— achieving business velocity and flexibility that is impossible for organisations who are tethered to monolithic systems. A leading US insurance company used cloud-native microservices and intelligent document processing to slash its underwriting times: 80% of underwriting now takes less than two hours, with the rest delivered within six hours, against an industry average of 24 hours. Whilst some of the business benefits may be clear, there is resistance to moving to a cloud native model, and it’s not because companies do not see the value. In our report, executives were asked about the barriers to making the transition and 70% cited a lack of skills followed closely by cultural issues, with cost and technology considered far less significant. While it is now accepted that the CIO should be a strategic partner to the business, evidence in the survey suggested that too many C-suites and lines of business still view IT as a cost centre. CIOs still have a lot to do to communicate the value of cloud native to the rest of the business. Don’t make the mistake of thinking that because the changes needed to build a cloud native business are far reaching, and IT is often seen as a cost centre, that the CIO should take the back seat and wait for things to happen. CIOs must challenge perceptions of the IT function as a cost centre, and reposition their teams as innovation partners for the business, rather than simply custodians of existing systems. They should offer a compelling vision for the transition to a digital business in which technology underpins the enterprise’s ability to innovate, to attract and retain customers, and to evolve ahead of the competition. To go cloud-native, CIOs must lead their teams on a path of transformation that will bring new ways of working and cultural change. Developers who were previously isolated from the business should be more exposed to the issues of customer experience and the challenges that business leaders face. They must learn to be business thinkers, articulating value propositions, and demonstrating their revenue generating potential. Because a cloud-native strategy demands significant upfront investment in platforms, people and skills, it is rarely the best way to achieve short-term, bottom-line cost reduction. CIOs need to evaluate which of their existing applications will benefit most from being rewritten as cloud native, and also which business initiatives and strategic priorities justify the investment of creating net new cloud-native applications. Teaching thousands of developers new cloud-native skills at once introduces too much change and risk. A more feasible starting point is a single programme, involving one small team of change agents in a contained area, that allows the value of these new methods to be proven in a relatively low-risk manner. DevOps is the essential enabler of cloud-native development. While shifting teams towards DevOps methods, CIOs also need to maintain a sustainable IT operation—to innovate while keeping the lights on. Organisation structures must evolve to support both the established and the new ways of working. Selection of a PaaS platform should be approached in a way similar to outsourcing a contract, where the likely cost and complexity of leaving must be factored into the purchasing decision. Complete portability may not always be practical, or justifiable in cost terms, but containerisation and open source offer the flexibility to build applications in a hybrid model where they exist seamlessly in different environments. Transitioning to a cloud native approach presents an opportunity for CIOs to demonstrate the value that IT can bring to the business, but articulating the case will not be easy. Collaborative thinking is part of a cloud-native mindset, and it applies as much to the CIO’s own openness to ideas from outside as to that of the business as a whole. 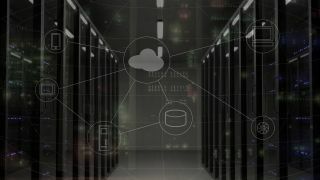 CIOs that can make those connections, and make the organisational shift to cloud native may even face the novel situation of the business having to catch up with IT.